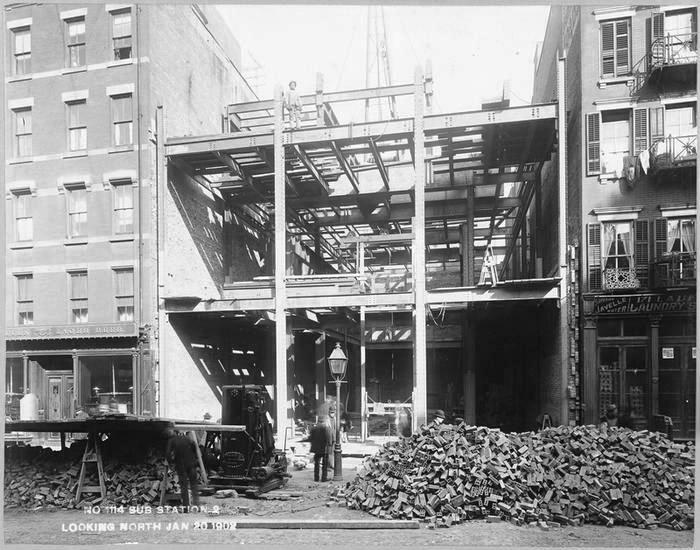 Simultaneously, the Manhattan Railway Company was erecting elevated trains along Sixth and Ninth Avenues. New Yorkers would soon enjoy modern, electrified mass transportation—the 20th century had arrived. But the trains that would run along the elevated and subterranean tracks would need electricity to power them along. 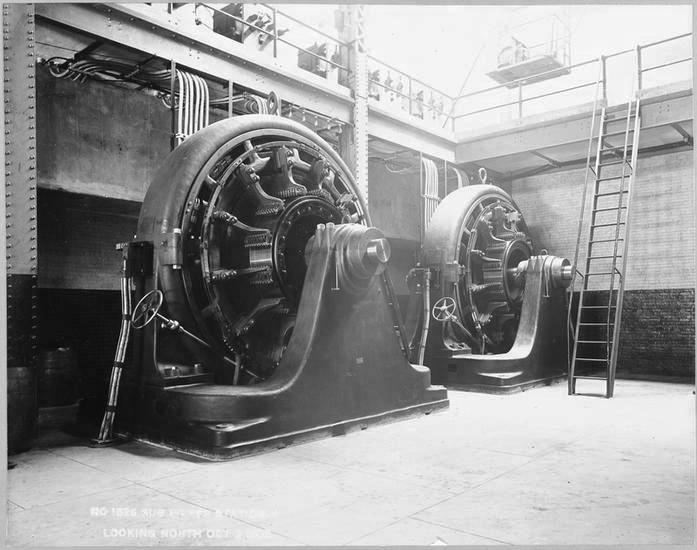 Powerhouses and substations with colossal generators had to be constructed. And that meant that old buildings—entire blocks in the case of powerhouses—would have to go. 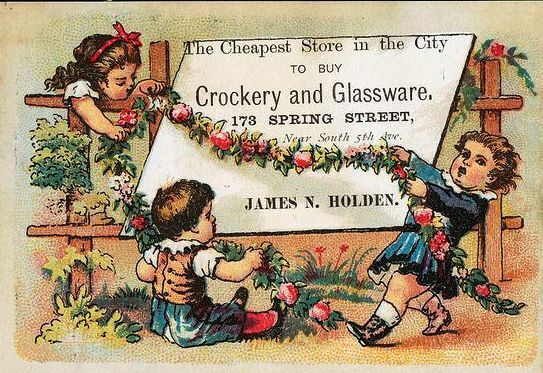 James Holden sold crockery from No. 173 around the time that Albert Schwab made embroideries in the building. By the 1890s space in the house next door, at No. 173, was being used as the embroidery-making shop of Albert Schwab. Albert found himself in trouble in 1894 when Augusta De Barenne, “a young French woman,” accused him of being annoying. 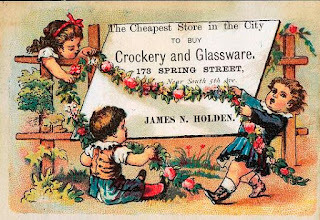 Schwab had left his wife in 1883 and come to New York from France with his two children. Then in April of 1894 he met Augusta. He proposed to her, she accepted, and he gave her $100 for a trousseau. Instead, she spent the money “in fitting up a flat for herself.” Then she broke off the engagement. 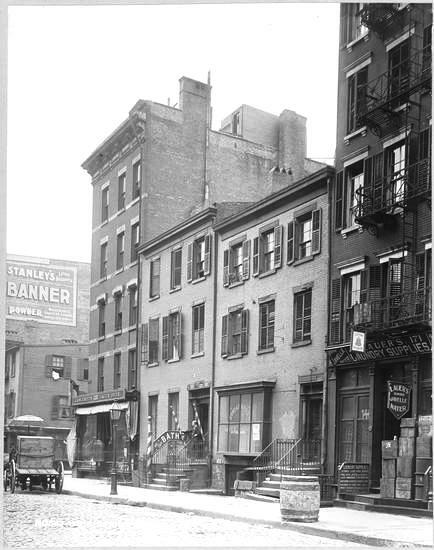 As Schwab licked his romantic wounds, the old three-story houses at Nos. 173 and 175 Spring Street were about to fall victim to the 20th century. In July 1901 George H. Pegram filed plans for the Manhattan Railway Company for three “electric power house sub-stations for its Sixth and Ninth Avenue elevated lines,” as reported in The New York Times on July 31. It is most likely Pegram’s engineer-first, architect-second status that resulted in the style of Sub Power Station 2 being about a decade late to the architectural party. The beefy Romanesque Revival base of rough-cut stone blocks had passed from style by now—prompting many current-day architectural historians to erroneously place it in the 19th century. Above, three stories of brick were punctured by regimented rows of square openings and capped by an understated cornice. It was a pleasing and attractive face for an undisputedly utilitarian structure. In 1903 the Interborough Rapid Transit Company leased the Manhattan Railway Company, at which time their power systems were joined. The City Real Estate Company was formed to take over the former Manhattan Railway properties. 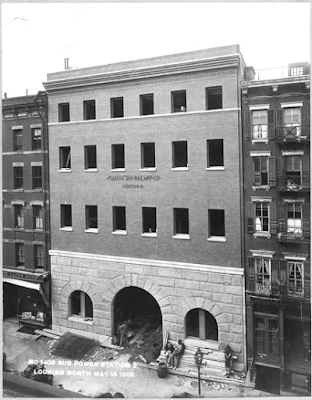 Among those transferred to the City Real Estate Company on March 18, 1903 was the Substation 2 on Spring Street. It was good news for the structure. 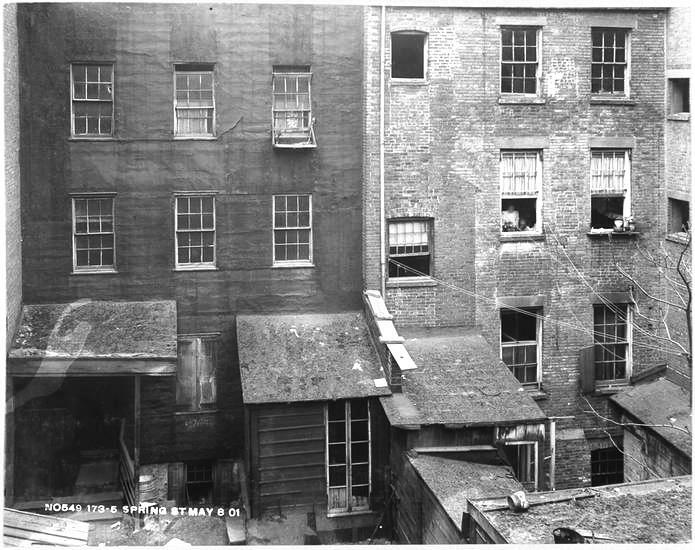 With the consolidation of electrical supplies, some of Manhattan Railway Company’s substations were no longer needed and were demolished. As long as the Sixth Avenue elevated train existed, Substation 2 would survive. An assessment of the properties of the Manhattan Railway Company in January 1907 placed the value of Substation 2 at $5,500—a mere $143,000 in today’s dollars. During the Great Depression merchants and property owners along Sixth Avenues continually complained to the city about the elevated train. The tracks cast the avenue in perpetual shadow and the noise and vibrations of the passing trains lowered property values. 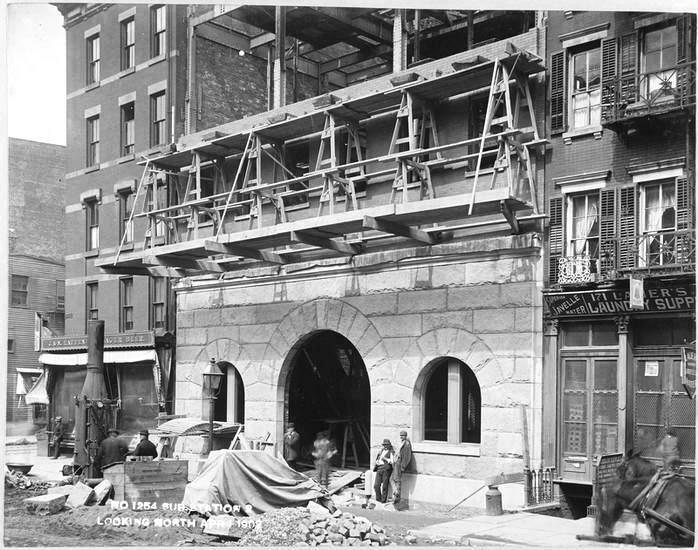 In response the first stage of the Sixth Avenue subway line was opened in 1936. In 1938, as the subway construction continued (it would be fully opened in 1940), the City of New York purchased the Sixth Avenue Elevated from the Manhattan Railway Company’s bondholders for $12.5 million. The El was closed on December 4, 1938 and demolished within the year. The Gem Lumber Company would play a role in a tragedy that would rivet the attention of Americans nationwide in 1979. Six-year old Etan Patz left his Soho home for school at 8:00 on the morning of Friday, May 25. Every other day he boarded a school bus two blocks away, at West Broadway and Prince Streets. But that morning he was not there when the bus pulled up. Two days later The New York Times reported “However, late Friday afternoon the boy was in a neighborhood lumber store, according to the store’s manager.” Howard Belasco told investigators he noticed Etan and another boy at around 4:30 or 5:00. “They were outside playing in a dumpster, pulling out scraps of lumber and then they came here and bought two boxes of nails,” he said. “Then they went around back and took some more scraps, then they disappeared.” Belasco identified Etan from the school photograph police were distributing in the area. No trace was ever found of Etan Patz and his disappearance still haunts the minds of New Yorkers. When Metropolitan Lumber and Hardware moved in, it painted a Soho-worthy mural on the upper floors. The bold graphics became a Spring Street landmark. The lumber store left in 2015, leaving the fate of the building and the mural in question. Glad i managed to snap my own shot of this place during out 2015 visit from Australia. I am loving this blog. Wonderful that you photographed it. The mural may be endangered. Glad you are enjoying the blog!